Imagine if you’d taken a short sabbatical, or even a holiday, three weeks ago. On return you’d wonder what the heck has happened to the recruitment industry. Who owns who, who’s sold to who and why are suppliers now competitors and vice versa? Yep I’m referring to the now highly publicised strategic moves made by Indeed, CareerOne and Monster/Randstad. Randstad bought job board/people aggregator Monster (yep, so what, Monster’s not even in APAC – but still an off move). Well nobody really knows, but the evidence points to them trying to move away from being a job board, or at the very least to get a piece of the recruitment pie. Probably the oddest of the bunch. Already owned by recruitment mega company Recruit Holdings (Japan), a Senior US Exec told a recruitment journalist at Shortlist (yep, the news service for recruitment agencies) that they were going to launch an offering in the US aimed at entering the recruitment market. Worse, when asked by Shortlist about this happening in Asia Pacific, the exec confirmed if the US trial went well then this would be on the cards. Before we put all the pins into these four companies, bear in mind that Seek has been working on something that’s not all that different, Talent Search. This tool whilst definitely helpful for recruiters, effectively offers employers easy access to the same database as us. 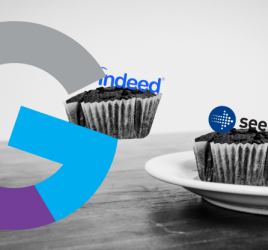 In regards to Indeed, the parent company Recruit Holdings isn’t new to the recruitment game either, as they own plenty of recruitment agencies alongside the job aggregation giant. So recruiters, what do we think to all these? Surely the ongoing trend of acquisitions and new revenue streams is simply an inevitable business truth. Take a look at the FMCG industry. This is one of my favourite charts that shows just how many day to day brands are owned by just 10 global mega-corporations. Why should our industry be any different? In the future, we’ll see more large-scale mergers and takeovers, going both ways. We’re in a buoyant market and one of the quickest ways to boost share prices is to buy something. I doubt we’ll see a mass exodus from Indeed. 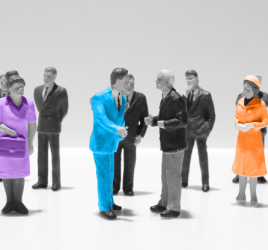 It seems like a way off before the new model makes its way here and it would take a brave recruiter to be the first to leave, and leave their competitors with access to the Indeed candidates. 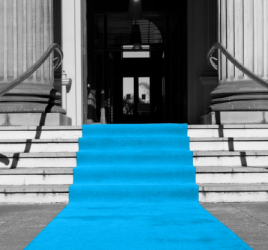 For decades people have been predicting the end of job boards, this clearly hasn’t happened. If anything they’ve increased their presence in the market, and are continuing to do so with strategy pivots as they seek to cover their risk. Over to you, I’d love to hear your thoughts on this.